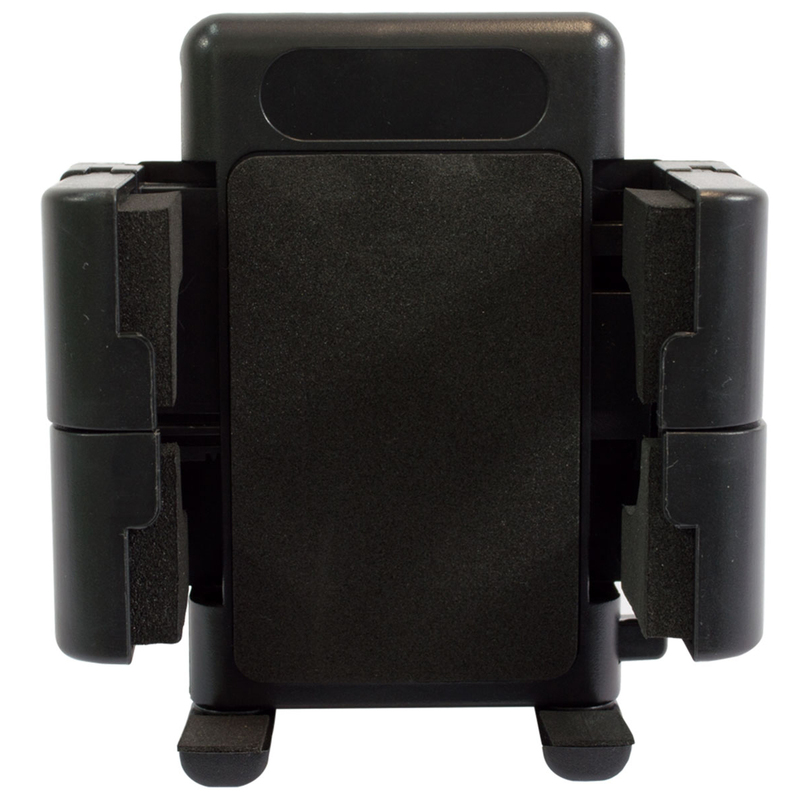 The PowerBug Device Holder is fully adjustable and has been designed to hold any device securely. 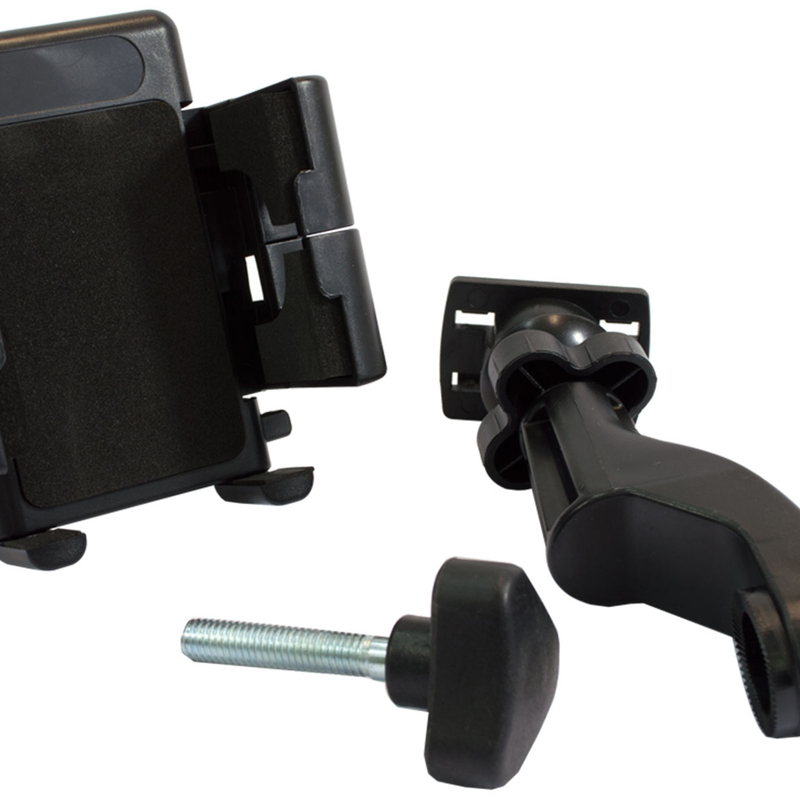 The holder is fully adjustable and can be mounted in a Portrait or landscape orientation. 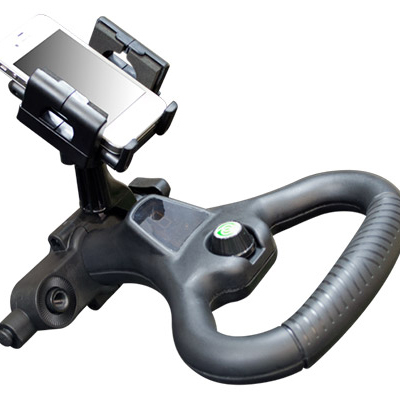 With its quick adjustment mechanism, the device holder is set to become one of PowerBug's best selling accessories. Easily fitted and detached from the Accessory Dock. This Device Holder must be used in conjunction with the PowerBug Accessory Dock. Please note the phone shown in the picture will not be supplied.